My plan, after writing about the films that I saw at the end of 2014, was to do a monthly roundup in 2015. This would be fine, but I have already watched six films, and today is the tenth of January. I kind of like limiting these posts to around six films, so I worry that leaving it until the end of the month will mean having to round up a huge number of films in one post. Ultimately, I think I’ll just leave things the way they are for now, and stick with a semi-regular round up post! I love musicals, but there are so many famous ones that I have yet to watch. Until just before Christmas, Guys and Dolls was one of them. I’m not sure why I’ve never watched it before, but I suspect it’s because it wasn’t one of my mum’s favourites. I am, of course, familiar with some of the music, especially Luck Be a Lady, which I love. I really like Frank Sinatra (the actor/singer, rather than the man), and young Marlon Brando is brilliant and beautiful. But Guys and Dolls didn’t quite tickle my fancy, and I’m inclined to think that it’s down to its length. 150 minutes is a long time, and I don’t think it needed to be that long at all. It was perfectly fine, but now one I’ll rush to watch again. I watched Capote after having watched Infamous the month before. 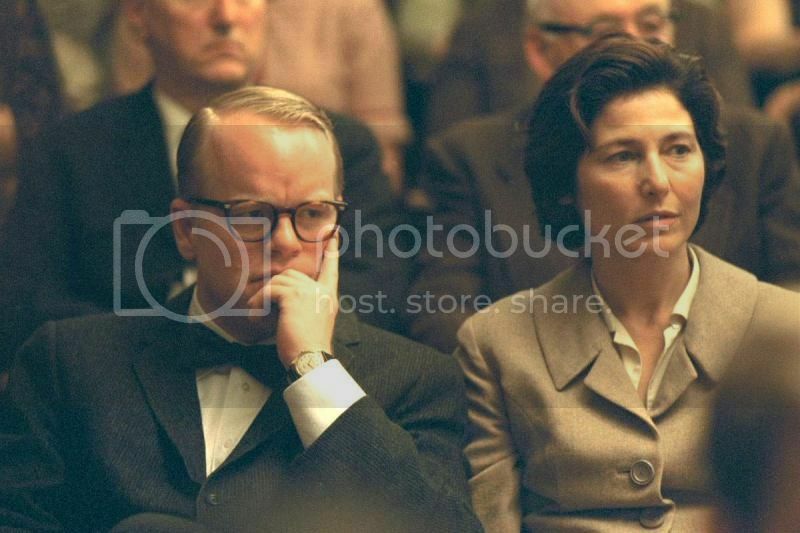 I loved Infamous, in no small part because of my devotion to the work of Toby Jones, who was incredible as Truman Capote. Phillip Seymour Hoffman’s portrayal of the same man won more accolades, indeed he won the Oscar for it, and while I do prefer Toby Jones’ performance, you can deny the talent that Hoffman brings to the role. It’s a very good film, and it’s interesting to compare it to Infamous, which I think I ultimately preferred. I missed a lot of the films that were on over Christmas on the television, but I found The Bishop’s Wife on iPlayer shortly after Christmas and decided to watch it. I didn’t know an awful lot about it, and didn’t even realise that it is actually a Christmas film. It tells the story of a young bishop and his wife. 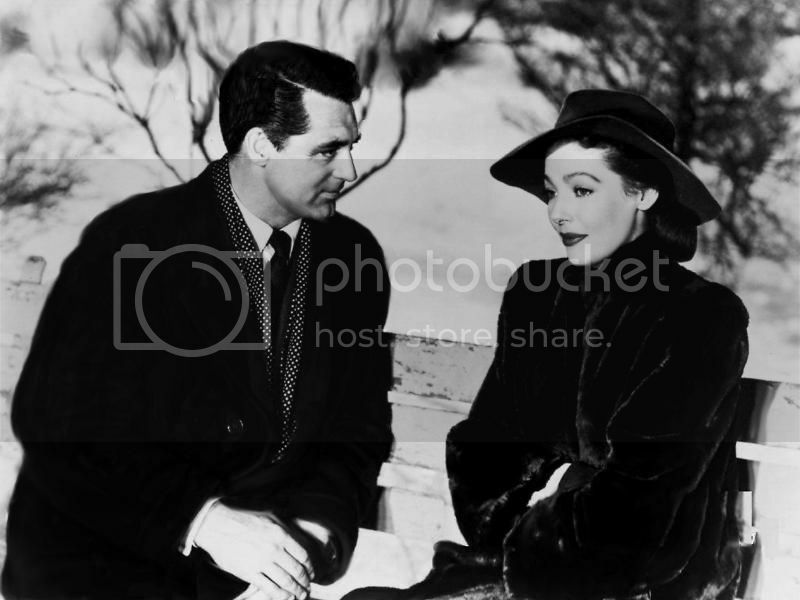 played by David Niven and Loretta Young, who are visited by an angel, played by Cary Grant. The bishop prays for help in raising funds to build a cathedral, but when the angel, Dudley, arrives, it transpires that he is there to remind the bishop that he needs to pay his wife and child some attention. Things get complicated when he starts to develop feelings for the titular bishop’s wife, but as you can imagine from a film like this, things work out just fine. It actually put me in mind of Mary Poppins, for various reasons; the entrance of a visitor in a family, summoned to help out, and eventually shining a light on the true problem. And none other than Katie Nanna (actress Elsa Lanchester) makes an appearance in The Bishop’s Wife! 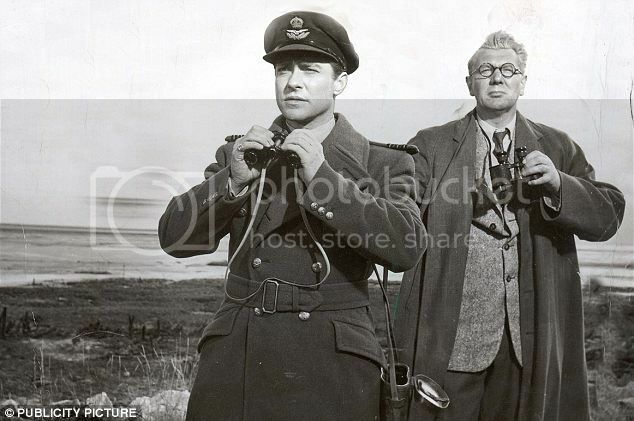 Every Christmas I circle The Dam Busters in the Radio Times, and every year I end up missing it! This year I made sure I settled down on the sofa and watched it, and truth be known, I very nearly fell asleep! Nothing to do with the entertainment value of the film, just that I was warm and comfy and it was getting dark! I really enjoyed it, as I knew I would as soon as I got around to watching it; there’s something very special about a British war film, especially one with such a celebrated history. The score is, of course wonderful, and the performance are all so very British. I loved it. 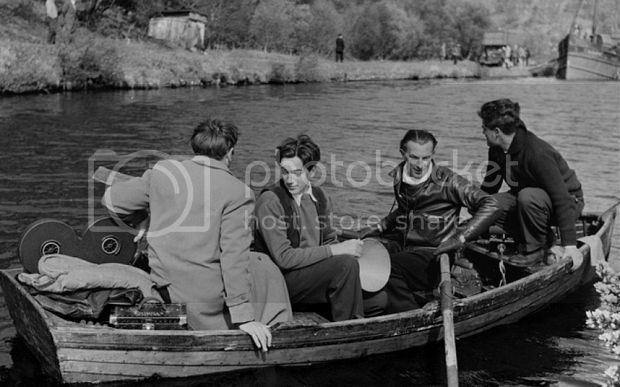 Whisky Galore is another film that I happened to watch on iPlayer, when I’d searched the entirety of Netflix and found it wanting. I am fond of an Ealing comedy, but I can’t say that this one particularly grabbed my attention. The presence of Gordon Jackson in a film is always something to be celebrated, and his relationship with his mother is funny. The scenery of the island is also beautifully shot, but other than that, i wasn’t totally enthralled. Short Term 12 tells the story of Grace, the supervisor of a home for children. She is in a relationship with her co-worker, and she is committed to making life a little easier for the children under her care. The focus of the film is on her relationship with a new addition to the home, Jayden. I really, really liked this film. I watched it because I was going through the Empire Best of 2013 list, and when it popped up, I realised that I hadn’t heard of it when it was released. Having read some reviews, it seems as though many people found it a little clichéd, but I liked it. I liked the story, and the performances, particularly that of Brie Larson, playing Grace. While it was fairly obvious which direction the story will take, it didn’t make it any less enjoyable for me.